Gerkin & Decker, PC recognizes the importance of protecting the privacy of all information provided by users of our web sites, subscribers to our services, registrants for our events, and all other customers of our products and services. We created this policy with a fundamental respect for our customers' right to privacy and to guide our relationships with our customers. 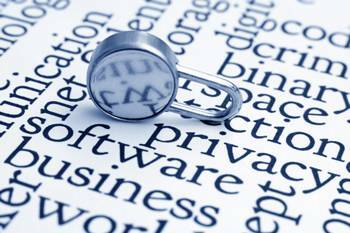 This Privacy Statement discloses the privacy practices for all products and services owned by Gerkin & Decker, PC. Gerkin & Decker, PC collects information from our website users, subscribers and other customers. In this section of our Privacy Statement, we describe the type of information we collect and how we use it to provide better services to our customers. We have features where our customers can submit information to us (such as our feedback forms). Where such submissions include requests for service, support or information, we may forward them to our agents, as needed, to best respond to the specific request. In addition, we may retain e-mails and other information sent to us for our internal administrative purposes, and to help us to serve customers better. Please note that letters to the editor and similar submissions may be made public, unless they refer to current registered businesses, in which case information is not disclosed. Gerkin & Decker, PC will never send email notifications to users unless they specifically request so. Gerkin & Decker, PC has features that automatically collect information from customers, to deliver content specific to customers' interests and to honor their preferences. This information assists us in creating products and services that will serve the needs of our customers. Gerkin & Decker, PC may contain links to other sites. Gerkin & Decker, PC is not responsible for the privacy practices or content of such other sites. We encourage our users to be aware when they leave our site and to read the privacy statements of each web site to which we may link that may collect personally identifiable information. Gerkin & Decker, PC websites are not directed at individuals under thirteen years of age, and Gerkin & Decker, PC does not intend to collect any personally-identifiable information from such individuals.